Refectio offers a wide range of repairs for your mobile devices, including the iPhone, iPad and the iPod. 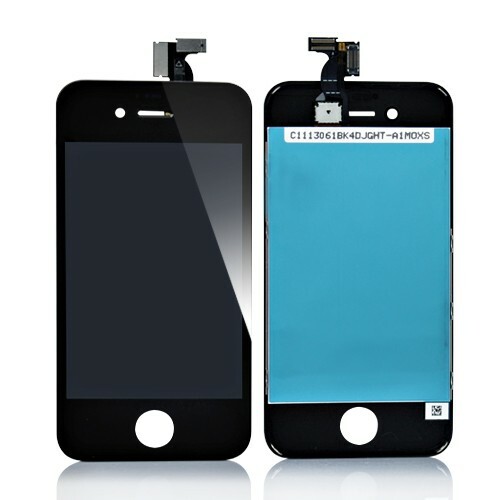 We offer the highest quality replacement parts available for cracked or broken screens, weak or dead batteries, faulty charge ports, cameras, buttons and other modular components. We also use the best professional tools to treat water damage, perform micro-soldering repairs and data recovery and we back it with the best warranty you will find. No Fix/No Fee - If we can't fix your device or recover your data, you will not be charged. Don’t let a broken or cracked screen or damaged aluminum housing force you to replace your phone or lock into a new contract with your provider. Do you find yourself constantly searching for a power outlet to recharge your device halfway through the day? Then you probably need to install a new battery. Charging ports, headphone jacks, buttons, antennas and cameras...they interact with the physical world and can be damaged, rendering your phone inoperable. Liquids can cause extensive internal damage if not repaired professionally by a qualified technician. Don't use rice!! Call the experts at Refectio. Changing screens and batteries can go terribly wrong when done improperly. Mobile devices are crammed with microscopic components that can be easily damaged. Do you have precious memories locked into your photo albums or important personal and business information that must be recovered? Are you struggling with configuring your device for mail, cloud services, shared calendars and contact lists? Would you like to go back to previous version? Why choose Refectio? - Quality is the critical factor for a successful repair. Look for the highest quality parts, industry-leading professional tools and qualified technicians, all backed by a solid written warranty in case something does go wrong in the future. There are varying degrees of parts quality currently on the market. The quality of the replacement components is critical to the long-term success of the repair. You will read and hear about “OEM”, “Grade A”, "High Copy" or "Refurbished". It can be very confusing but the bottom line is that you generally get what you pay for. If the price seems too good to be true, then it usually means a lower grade of parts. At Refectio, a certified micro-electronics technician will repair your device. While just about anyone handy with a screwdriver can attempt to replace a cracked screen, there are many horror stories on YouTube of repairs gone bad. The reality is that mobile devices and laptops use extremely tiny surface-mount electronics (SMD) and very delicate interconnects (flex cables). The slightest wrong movement can permanently, in some cases irrevocably, damage your device. Some repairs are straightforward if done properly; others require precision tools and laboratory grade instruments. Refectio technicians have access to high quality repair equipment for micro-soldering, desoldering and hot air rework for circuit board level repairs as well as a laboratory grade ultrasonic cleaner and high-purity chemicals for water damage repairs. Don’t settle for anything less. At Refectio, we stand behind every repair. We use only the highest quality parts and all of our repairs, such as screen & battery replacements as well as micro-soldering & water damage repairs are warrantied against defect for 6 months. Refectio - How to get your device repaired! Getting your device repaired is easy; Refectio offers you several options. If you are in the Montreal area, you can drop it off or schedule an appointment via our interactive RefectioRSVP website. For those elsewhere in Quebec, Canada or anywhere in the world, you can mail or ship it for prompt service. Please feel free to drop by anytime during our regular business hours to visit or leave your device for repair. We will be happy to serve you. You can schedule an appointment to insure an expedient repair. If you need emergency or after-hours repairs, please contact us to make special arrangements. If you are not in the Montreal area and would like to leverage our professional services, you can ship your device for prompt service. Please contact us to coordinate the shipping.